U.S. first lady Michelle Obama with Canadian figure skater Joannie Rochette at a “Women of Distinction” luncheon as part of the G20 Summit in Toronto June 27, 2010. …with Canadian Prime Minister Stephen Harper and his wife Laureen before the official dinner at the G20 Summit Saturday, June 26, 2010 in Toronto. 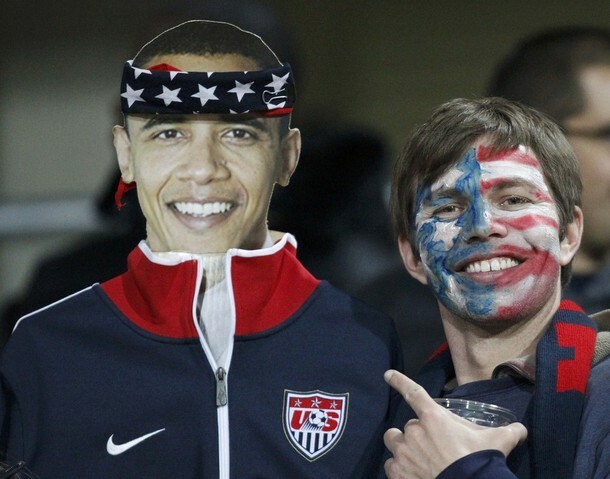 A U.S. fan poses with a cutout of President Barack Obama as he waits for the start of the 2010 World Cup second round match between United States and Ghana at Royal Bafokeng stadium in Rustenburg June 26, 2010.